Home › Ecology › Can you hear Mother Earth? Forty-six years ago, in 1970, I was a young biologist present at a ground-breaking meeting between Zen Master Thich Nhat Hanh and six leading scientists in Menton in the south of France. We met to address the damage that was being done to the Earth through human misuse of technology, the penetration into food-chains of poisonous substances and the mounting exploitation of natural resources. Together, our small group of seven scientists issued The Menton Statement in 1970, which was published in Le Monde and The New York Times in 1971 and signed by over 2,000 scientists in 25 countries. It was one of the very first international statements by scientists to raise concern about environmental destruction and the urgent need to protect the Earth. Our group also established a pioneering NGO, which we called “Đại Đồng Thế Giới” (World of Great Togetherness). We met with the United Nations Secretary-General and played a key role in preparing the ground for the UN Stockholm Conference on the Environment—the first of its kind—that took place a year later in june 1972. Ahead of the talks, we held a civil society conference and issued an “Independent Declaration on the Environment” to support the UN’s good intentions and help prevent the talks being stalled or sidelined by powerful governments. It was as a result of the Stockholm Conference that the UN established the United Nations Environment Program and national governments began to create ministries for the environment. Since that time, our teacher Zen Master Thich Nhat Hanh continued to teach extensively, speaking out for the protection of the earth and the importance of following a “global ethic” to safeguard our planet. He has transmitted the 5 Mindfulness Trainings to over 100,000 men and women, and over 4,000 have received the 14 Mindfulness Trainings. Each person makes a vow to contribute to building a small beloved community (“sangha”) near their home, and to live in a compassionate way to protect all species on Earth as the many thousand arms of the Bodhisattva Avalokiteshvara. Forty-four years since the UN’s Stockholm Conference, Mother Earth’s condition continues to degenerate, and today she is in desperate need of our engaged, compassionate action. For billions of years different life-forms have been evolving together and nourishing each other on Earth in harmonious equilibrium. But now, humankind is destroying this balance, and Mother Earth is crying out in pain. Can you hear that your mother is dying? Please wake up, my children, and see what you are doing. Your atomic bombs have laid waste to billions of precious lives, even the most fragile life forms and micro-organisms, across vast swathes of silent desert and open ocean. You have cut down and set fire to my forests, and poured toxins into my atmosphere and waters. You have sliced out my mountains and precious earth to search for fossil fuels, gold and bauxite. Your nuclear power plants, and factories of chemicals and steel have released radioactive waste into my waters and poisoned my earth. My body reeking and twisting with pain has brought forth storms and tornadoes, floods and hurricanes. I am a living earth and my quakes and volcanoes express my life-force, and my pain. Today I am suffocating in the deep waters off the coast of Viet Nam. Billions of fish, dolphins, sharks, shrimps, crabs, and exotic rare species from the depths of the ocean, have been washed ashore, dead and lifeless, across 140 miles of coastline in Vietnam, from Ha Tinh along the coast of Quang Binh, and the coasts of Thua Thien and Da Nang Quang Nam. What terrible poisons have you poured in my waters? There is only one great ocean and poison in one ocean is poison in my whole body. The South China Sea is also the Pacific Ocean, it is the Atlantic Ocean and the Indian Ocean. My dear children, please listen! These beautiful fish are also your brothers and sisters, they are also crying for your help. If living species in the oceans are dying, how long will you last? Please remember, my beloved ones, that you cannot take any steel, gold and bauxite with you when you die. Our Mother Earth has been crying out for so long. She has never stopped giving us whatever we needed: food, water and shelter, allowing us to flourish in her abundance, never asking for anything in return. But now she asks for our support, our love, our action. We have allowed our alienation and greed to dominate our lives to the detriment and exploitation of our Mother. Many of us have forgotten that we are one with the Earth. The Earth is not a separate entity from us. We are part of the Earth, and the Earth is part of us. The Earth is not a resource for us to exploit at our will. The Earth is us; we are intimately interconnected with the Earth, just as we inter-are with all other species on Earth, too. Our spiritual ancestors have taught us about the law of interdependent co-arising: this is because that is. We are here because the Earth is here. All species are our brothers and sisters; we are all children of the Earth. When we see our deep interbeing with the Earth and with all species, we will see what to do—and what to stop doing—to help the situation. We will have the clarity and compassion we need to help change the situation, so that a future can be possible for us all. Yes, humans and societies need to develop and progress. But at what cost? We call our political leaders all over the planet, our civil servants, and especially our corporate leaders to stop and look deeply at our behavior. Our industries and corporations are destroying the very fabric that makes life possible and beautiful. We must make adjustments to the cries of Mother Earth. Each one of us can take action in concrete ways. 1. Recognize that what we choose to eat greatly impacts our personal health, the distribution of wealth and resources, and the global environment. We can go closer to a vegan diet as recommended by a recent study by the National Academy of Sciences to reduce our impact on climate change and global pollution, and nourish not only our health but our compassion. We can commit to reducing our meat consumption by 50%, or to not eating meat and dairy products 15 days a month. 2. Recognize that environmental ills are inherently linked to human ills. We should look deeply at our lifestyle and make changes to reduce our consumption and simplify our life. Greed is a byproduct of an individualistic and materialistic way of looking the world. It has become rampant and is a major cause of the imbalances on our planet. Each one of us can support efforts to alleviate inequities wherever we live and between affluent northern hemisphere societies and southern ones. 3. 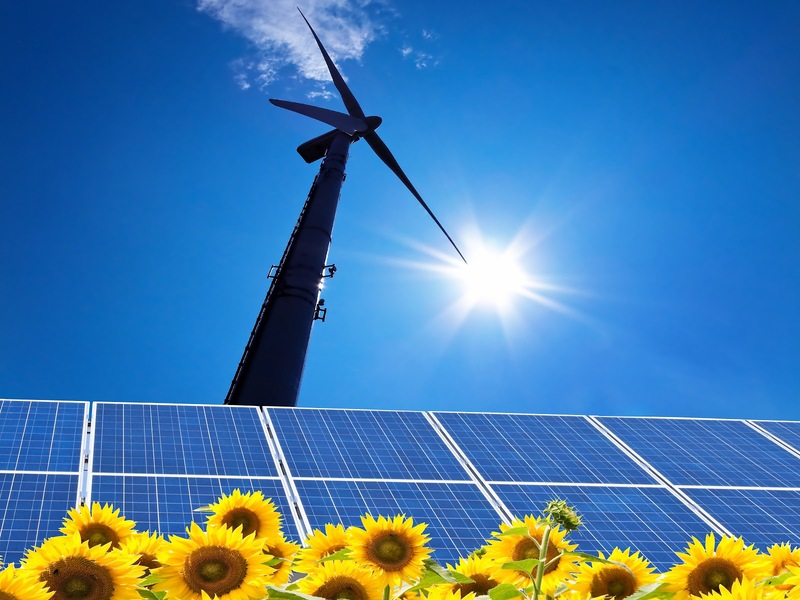 Recognize that there are alternative renewable energy sources. We can encourage governments to find sustainable energy sources and transition away from nuclear and fossil fuels. It is possible to develop society and industry in new ways, and not at the cost of Mother Earth and numerous species on land and in the ocean, nor at the cost of the wellbeing of future generations. Nuclear waste, whether hidden beneath the earth or exposed, is a toxic cancer to our planet. We will be paying for the luxuries of today with sicknesses tomorrow. Each one of us can make efforts to reduce our personal consumption of energy, in terms of electricity, water, transportation, and the products we buy every day. 4. Recognize that the meat and agricultural industries are a major cause of environmental degradation. We must encourage governments to adopt sustainable development practices to minimize waste and pollution caused by cultivating, processing and transporting meat and fish, and to move away from meat and fish production, which are not sustainable food sources for a growing global population. May you all enjoy the beautiful colors of spring, the fragrant Summer breeze and glowing sun, the gold and crimson leaves of autumn, and the cool, beautiful light of winter. May you remember also that every being with whom we share this beautiful planet is also a precious gem. May you enjoy everyone around you and not wait until it is too late, until everything is nothing more than a dream. Thanks Sister for the message of love without raising any hostility towards anyone who has caused this issue. A true Buddhist call. A thank you to Gordon Walters. I, too, will continue to do what I can. Is there some way all of us can create a sanga together without bounds of country, race, age, etc..
To help the knowledge touch each heart and promote right action? It’s one thing to talk, and of course to pray. Right action in a massively large group can create momentum and change. Is there a way we all can connect more than through words? It can be easy for some to look away when someone or something is suffering. It isn’t easy to look away from thousands with an authentic presence and message. human beings.We should be humbler and free of fear, which is the real disease of our times. a severe halt measure will come..Vegetarianism is to be fostered, but firstly for hetical purpose. I wish that our teacher to be always present to guide us as his task seens not finished yet. Wonderful thoughts but having a background in holistic nutrition (and much more) would like to say we are much more then what we eat. Digestion, metabolism, the soils on which the food is grown, “acid rain” (or not)and so much more. All truly is connected. As well those who lived in Arctic lands could never survive on a vegetarian diet, at least not when living off of the land as was prior to electricity and modern technology. (Whale blubber provided much needed fat for warmth). I think what you are referring to is the “bell curve” – when any species populations explodes then a force (disease so on) enters in to put it in harmony or balance). Our technology overrides that innate balancing system, yet always there is something that evolves to do it’s task (on a individual scale painful, on the larger scale a balancing). And yes climate does change, perhaps we are accelerating these natural occurrences. is absorbed into water systems and our oceans are a “sink” which means eventually it acidifies the water and although their are species that evolved for differing Ph conditions most fish in the ocean have not. The oceans are acidifying (a dream I had as a small child mid 50’s – the oceans were dying, now I know it to mean acidifying and other pollution causing destruction). Ditto for air, land, river systems. What is often not mentioned with regard to climate change discussions is the pollution and toxicity involved due to our “modern” technology. As you can see I have a background in science, along with the esoteric sciences – ideally we question all sources, lol. This is all very inspiring. It is good too see such inspirational people giving a strong lead. I am pleased that there is now a strong movement in making these changes. As well some of the components are highly toxic “rare earth metals” and many environmental consequence for those that produce and work with these toxins (China, other countries). Mother Earth, Father Sun, Brother Wind, Little Sister (wild flowers not weeds, lol!) Quote from “Touch the Earth” original peoples on what is now called America. Saving the earth is about paying attention to minor actions of daily life. Eg. the drain of my shower is blocked. It is very inconvenient. This product was recommended to me. It unblocks drains… in the package it says – that the product is toxic to all life forms and has a long term toxic effect for life, fish, plants, water. It is written in the package! For convenience, I used it anyway and it did unblock my drain. However, the drain is now blocked again and I’m resisting the ‘convenience’ of short term to think of the intoxicating power this product has on me, and everyone/everything around me really. It is in the small, tiny things that we do everything that we have to concentrate… Lets find alternatives, I’m sure they exist. Yes, take your drain apart and clean it out. Why have we lost the ability to do the simple tasks? Instead of throwing our toys out, get off your machines and manually fix your toys. Grow your garden, sew your clothes, cook your food. To unblock your drain, try bicarbonate soda. Add household vinegar and it will bubble up. Let it bubble away, adding more of each if you need it. Then wash away with water. Much better for the environment! To unclog a drain you can pour a handful of baking soda into the drain and add one half cup of white vinegar. Rinse with hot water. There are many alternatives to using chemical toxic cleaners in our homes. Pl refer to ‘Clean’ by Michael Dejong, it shows how to use baking soda, borax, lemon salt and vinegar to clean just about anything at home. Cleaning this way may need more awareness and a willingness to work a bit more but it causes no harm to anyone .. all the best. Not to mention all of these toxic chemicals are tested on animals. ALL repeatedly due to the billions gained by doing so. The pharmaceuticals for the most part make them (think Bayer Aspirin Bayer pesticide) then more toxic Rx to “cure” when the toxicity of many modern *synthetic chemicals are used (not side but toxic effects in research literature. *most perfumes, colognes “fragrance” products are made from left over petro sludge – the companies fight hard to keep the label from stating that (easily online search now – toxins in your perfume for starters). You can google for the images and perhaps put one near your sink – then true “Love is Action based on compassion” and imagine it in your eye. Thank you sister Chang for your beautiful thoughts and words. If we could all make even a little effort to be kinder and gentler to our selfs, our fellow human beings, the animals and our beautiful earth. Thick nhat hanh and sister Chang have done so much to try make us too become more aware,also the sisters and brothers of plumvillage. Thank you Sister Chan. Your words and the energy behind them are so important. May the message reach all our hearts and motivate right action. I am searching for a Sanga both to bring forth the message and to find a place where I belong. I hear the Earth and teach others to listen (as my work). However here in Vermont I have not found connection with others. I reach out and respectfully ask for healthy community. Thank you for showing me so many possibilities! I look forward to exploring and finding true connection. I respect the sentiment here but can we please not associate it all as “mother” earth / “mother” nature? Thank you for raising this point. Perhaps Thay, and Sister Chan Khong, use the word “mother” in order to remind us to see our profound connection with the Earth, and to see the Earth as more than just inert matter, and to recognize that the Earth is as much (if not more) our mother than our biological immediate mother in this lifetime. We don’t need to be caught in the terminology; it is just a skilful way to remind us of something deeper. If you’d like to read more about Thay’s vision of the Earth as mother, you can read his book: “Love Letters to the Earth”. Thank you very much sister!!! It’s never too late to start living! Insurance companies stops our generation from running through the fields! People should STOP! And have a good look at what greed has done and is doing! All PEOPLE! Are to blame every human being is RESPONSIBLE FOR THE DAMAGE! Now PEOPLE SHOULD GET RESPONSIBLE FOR REPAIRING THE DAMAGE! And NURTURE AND LOVE WHAT YOU CALL MOTHER EARTH! Thee ONE AND ONLY PLANET WITH LIFE IN THE WHOLE UNIVERSE! START NOW EVERYBODY! HARMONISE WITH NATURE! I am the change we want to see in the world I am vegan ??? Thank you so much. It encourages me to keep going in my small efforts! Thank you sister Chan Khong for this poignant and beautiful message. When I hear fracking..I hear the cries of a mother that is being raped by her children. Thank you Sister Chân for your work and insight and for mentioning the biggest enemy to Mother Earth, animal agriculture. We need to walk away from the murder of other sentient beings and start living compassionate lives, in harmony with nature, mindfully. May we, ALL living beings live in peace. Thank you so much Sister Chan Khong. It’s a passionate call for our dear Mother Earth. I will never ever stop practicing the Five Mindfulness Trainings. Joyful Presence of the Heart. We should leave (capitalism) the old system behind and resuscitate Homa-Therapy in our daily actions as expected by the old Gautama. Om Shree. Make a proof 1. http://homahealth.com/ and 2. http://homafarming.com/. The most efficient ways to heal the earth and get health as wealth. Thank you Sister Chan for your beautiful letter. When you go for a walk, please take a bag with you and collect all plastic garbage you find on your way else the next big rain will wash this into the rivers. With this action rivers and oceans can be protected. Our water and all beings who live in it thank you very much for this. It’s just a little help but if many people do that it is a great benefit. Thank you Sister Chan! It is a very inspiring message! Can I translate it into Chinese and share to my friends? A passionate call for our dear Mother Earth. I’d like to share on Facebook but for some reason your website won’t let me. Dear Vivian, I am just north of you in Sonoma County. I struggled wth this all my life until about 8 years ago. The book that helped me most was Prevent and Reverse Heart Disease by Caldwell Esselstyn. It has many creative, simple, quick, and delicious recipes in the second part of the book. There is also a MeetUp group that meets at Gaia’s Garden (mostly vegan) restaurant on Tuesday nights in Santa Rosa. Wishing you…and everyone… happiness at the table! Thank you for everything you do to save our beloved earth. Thank you Sister Chan for your beautiful letter to us all. It was a warm way to wake up the day, and gave me an added boost of mindfullness to start the day. in agreement with you, and am sure many others, may we all take a mindfullness day to remind ourselves what is truly important for our Earth. May your day be blessed for sharing your thouights with us. Li sua carta e posso lhe dizer: sim, eu ouço nossa Mãe Terra chorar há anos. E percebo que o sofrimento só aumentou nas últimas décadas.Todos estamos doentes depois que tão graves feridas foram por nós provocadas no coração de nossa Mãe. Querida Irmã Chan, a Terra ainda pode ser salva? Ou já chegamos a um ponto onde não há volta? Vamos nos unir para promover a cura de nossa Divina Mãe. Vamos criar um grupo e dividí-lo planeta afora, para salvar nossa Mãe. Abençoados sejam, Irmã Chan, você e todos que lutam para curar o planeta!